Wales historic win over England did not prove enough as they missed out on the quarter-final as the opening day of Singapore leg in the HSBC World Rugby Sevens Series kicked-off on Saturday. 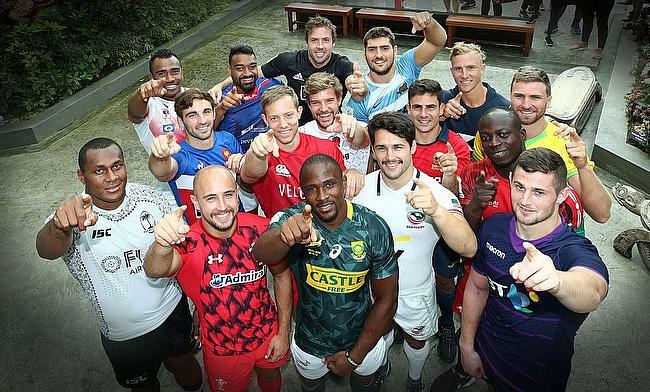 South Africa, Samoa, USA, Argentina, New Zealand, Fiji, Australia along with England have made it to the quarter-finals as they lock horns on Sunday to claim the title. South Africa might have had a struggling Hong Kong 7s but they started their campaign on track with comfortable 36-10 and 36-0 wins over Scotland and Canada counterparts before they managed to secure another 7-17 win over Fiji to remain unbeaten and stay at the top of the group. The winner of Hong Kong 7s, Fiji had a 50-12 win over Canada but back to back defeats against Scotland and South Africa put them in a spot of bother. However, they managed to edge out Scotland and Canada with a better points difference. Australia started the campaign with a narrow win of 17-22 over Argentina, but picked up with 12-24 and 47-0 victories over France and Hong Kong respectively as they claimed the top place in the group. Argentina also had wins over Hong Kong and France to come second with seven points. USA claimed the top position in the group with 31-12, 17-14 and 22-7 wins over Wales, Kenya and England respectively to claim the top place. However, England managed to overcome 0-12 defeat against Wales - ending a 16-game winning streak as their 36-7 win over Kenya proved pivotal in securing the second place with better point difference over Wales and Kenya. New Zealand proved their dominance after blanking Japan and Spain with 43-0 and 53-0 respectively and also edged out 22-26 Samoa to claim the top place in the group. Samoa with two wins from three games got the second place with Japan and Spain missing out on the quarter-finals.